In the opening scenes of INDENDENTS’ DAY there’s no dragging on development of the characters and story. 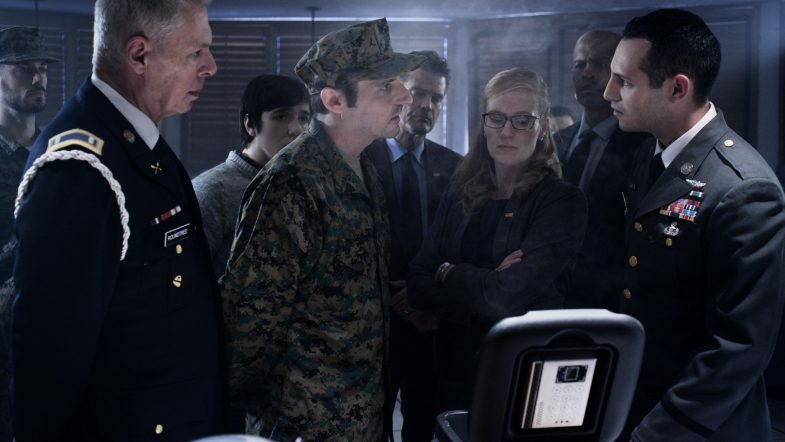 The film provides the right amount of information needed in first few minutes, so it can jump right into the action as the aliens come down to earth. Once the aliens have strategically positioned their ships around the world, they contact all the world leaders and give them an ultimatum. Leave earth in their vessels, or stay and be eradicated. The apparent reason by the aliens or Orions as they refer to themselves is that mankind has increasingly been destroying themselves and earth and it’s time for a new beginning. They also promise to heal the sick. 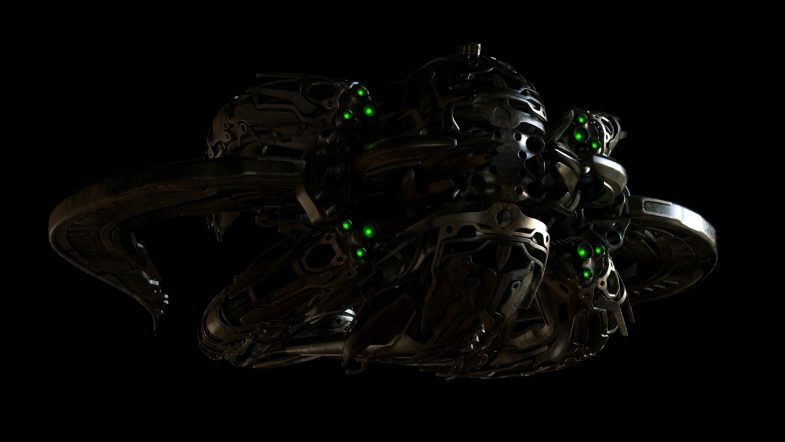 Prior to knowing the Orions intent, the military evaluates the spaceships with fighter. The Orionstake it as a threat and show just a hint of their combat capabilities as they take out the fighter jets. After the White House and governmental buildings throughout the world are destroyed, world leaders are on edge whether to abide by the Orions demand or should they fight? The U.S. President perishes in the White House attack and Vice-President Raney is sworn in and inherits the alien invasion crisis. The Orions try to show they’re acting in good faith, by healing President Raney’s crippled son. Once healed, it’s obvious that family has been brought into the President’s dilemma. 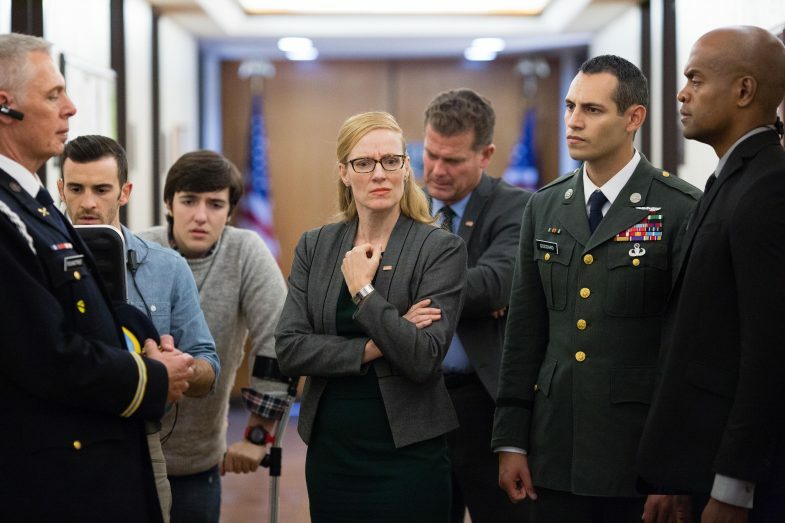 Now she has even a tougher decision on her hands and it’s one of the bigger turning points in the film as it raises the question, what’s more important to the President, family or the citizens of the United States. While President Raney attempts to negotiate with the Orions in hopes of a peaceful resolution a militia group known as First Earth attacks some spaceships. The Orions consider the actions of First Earth an act of war and ramp up their threat to President Raney and the military. It’s a difficult situation as in addition to the Orions, the government has to curtail a militia. When President Raney’s husband who is also a Senator contacts First Earth he has his own plan of attack. It backfires, but yet opens up communication between the military and militia and they’re able to work together against the Orions. As the story develops the dire situation progressively gets worse. All the plans and strategies take a turn when new intelligence comes in about the Orions. Now with a better understanding of the Orions and their vessels, a new plan of attack is drawn up. The military along with the assistance of First Earth put their plan of attack into action. As they proceed, they continue to learn new things about the Orions. Throughout the story there are multiple roadblocks and setbacks that keep the tension and drama high. When things appear to be set in place for victory, President Raney is put in yet another situation and has to make her toughest decision yet. Her family is priority, but yet thousands if not millions of lives are at stake. The climax provides intense battles and dramatic moments up till the last second of the film. INDEPENDENTS’ DAY may boldly be The Asylum’s film of the decade for the sci-fi genre. Much credit goes to Director Laura Beth Love and the entire INDEPENDENTS’ DAY team! 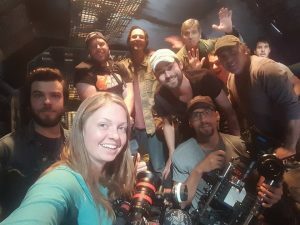 With having the common short shooting schedule and budget, Laura Beth Love deserves an award for making a high quality film with significantly less resources than a big budget production. 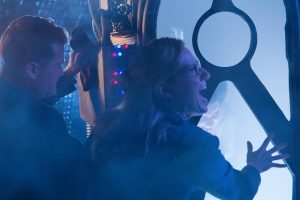 “I grabbed the reigns, gave up any hope of sleep on our brisk ten-day schedule, and shaped a movie that I hope fans of V and Independence Day will enjoy,“says Laura Beth. In regards to the Special Effects team, Mike Verta, Joseph Lawson, Tammy Klein, and Glenn Campbell created specials effects that very well can be considered the best amongst films by The Asylum and comparable to blockbuster films. Explosions of U.S. and Alien ships and all the battlesare visually stunning and would be amazing if seen on the big screen, especially since there’s a great soundtrack to go along with all the action and drama. The music was provided by Mike Verta who also contributed to the special effects and he has these final words about the film, “In the end, it’s called Independents’ Day, it’s a mockbuster. Everybody knows what to expect from it. But I think this time people will find it’s got just a little bit more, too,”Mike Verta. A must see film!! 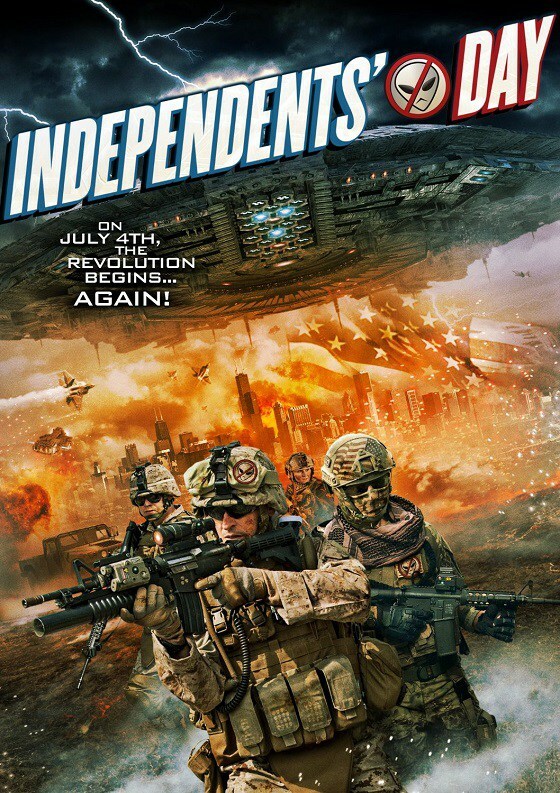 !INDEPENDENTS’ DAY is currently available on VOD and DVD. Visit The Asylum’s website for more information.